In a surprise move, Aer Lingus has announced that it is launching a Dublin service from London City. Even more surprising is how they are doing it. Aer Lingus is taking over the six daily flights currently operated by CityJet. CityJet will continue to operate the service but it will now be done on a contract basis for Aer Lingus. British Airways will, at least for now, continue with its own London City to Dublin service. The change takes place on 28th October. If you are currently booked with CityJet to travel from London City to Dublin from that date, your existing ticket will be cancelled and you will be offered a refund or a seat on a replacement Aer Lingus service. Flight times may differ. You will earn Avios in AerClub on this replacement ticket! From an Avios point of view, this is a positive move with additional redemption options. However, if British Airways ends up pulling out of the route, it will be an overall negative as taxes are higher on Aer Lingus redemptions. You can find out more, including about how Aer Lingus will deal with existing bookings, on their website here. PS. This change means the end of CityJet as an airline brand. All of its routes are now flown under contract and its future will be as “a provider of capacity to customer airlines throughout Europe”. You can find out more on the CityJet website here. In our main article today we look at the brand new Hilton Honors ‘double points’ promotion for September to December. I also wanted to remind you that September 3rd is your last chance to book in the Hilton Summer Sale with decent weekend deals across Europe, Africa and Middle East. This rate is only available for weekend stays to 7th October 2018 and must be booked by 3rd September 2018. Full sale details and the sale booking site are here. This is, clearly, nothing to do with our usual miles and points content! 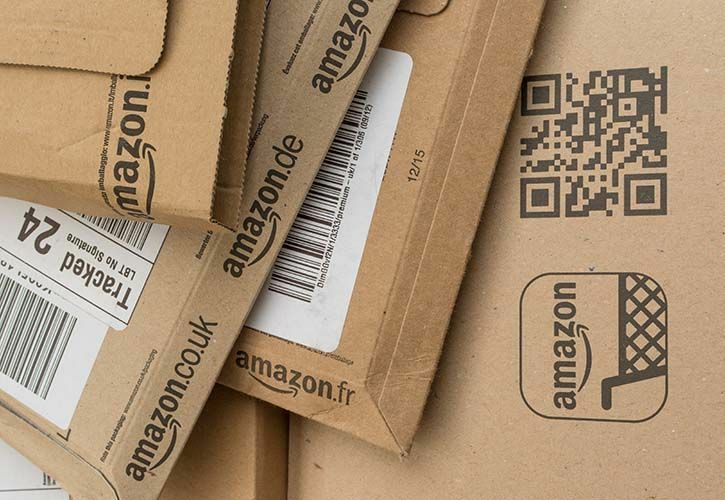 However, I wanted to flag that – for new members only – Amazon is offering a £20 discount on its hugely popular Prime service for the next two days. If you had been thinking of signing up, now is your chance. You can see full details here – you will get next day (same day in parts of London) delivery of many Amazon items, video streaming via Prime Video, music via Prime Music etc etc. Does the confusing new 'buy Avios' promo for BA Amex cardholders make sense? The hotel market is doing so well at the moment that there really isn’t that much need for a blanket sale unfortunately …. i was already contemplating the £20 off Amazon Prime offer and decided to sleep on it until today. Happy to amend my plan knowing that £3 will go to a good home. 🙂 Thanks, Rob. Is EY moving to Heathrow Terminal 3? I have a flight over Christmas and received a message saying Departure from usual T4, but arrival is at Terminal 3. Anyone with return flight in Jan-2019? Not that I know of ….. but there was talk of adding another flight. Perhaps it is happening but with a T3 gate?! Would not be the first time airlines at LHR did this. T4 is short of stands so it’s entirely possible. Oman Air had about a year of operating the morning and evening flights from different terminals until they got a stand allocation for the second one, and of course QR had to run a A319 for a while as the gate they took from Tarom could only take a shorthaul aircraft. So yes it’s possible. It’s also possible it’s only a temporary thing while they’re doing some maintenance work in T4. Rob, Hilton amended the stay window for the sale and is out until 28th April 2019!